Say, a chubby friend of yours, who loves nothing but meat, is welcoming his birthday in a couple of weeks time. What do you do to celebrate the day? One is to take him/her to a fancy steak restaurant and buy him/her pounds of red meat (and chunk of mashed potatoes as a side and New York cheese cake for dessert). But if you're not intimate enough, but wish to do something for him/her -- here's a great product. 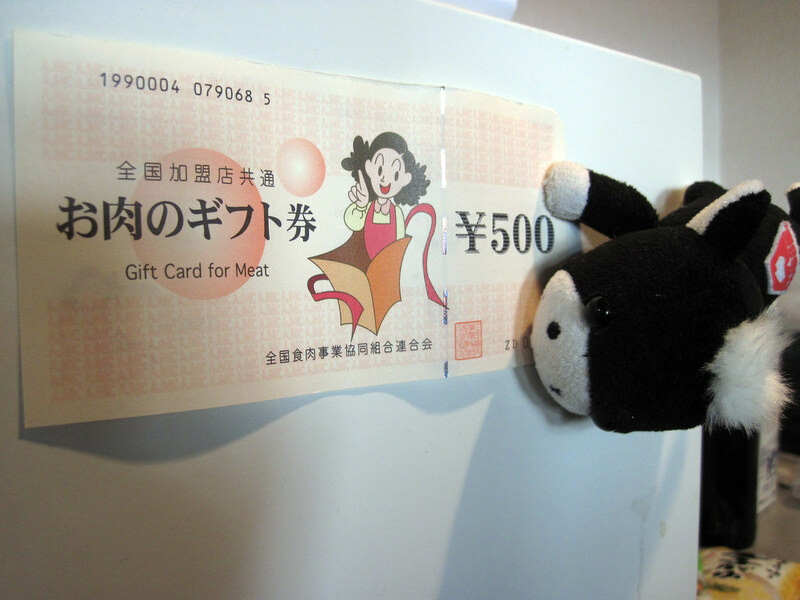 Gift card for meat. 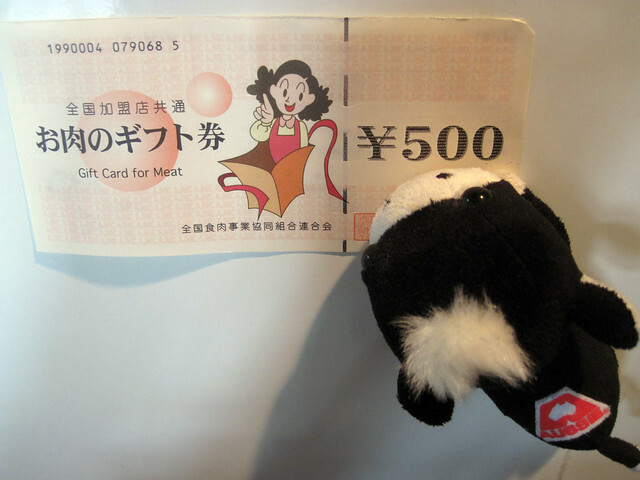 Issued by All Japan Meat Industry Co-Operative Associations, a trade group for butchers, the gift card is accepted at 6,200 different butchers across Japan. Thanks to Yasutaka Kageyama, another meat loving chap, for the contribution.